We had a big birthday, a baby boom and a Silver Jubilee - and that's just for starters. In a year that brought highs and lows and smiles and tears, some moments really stand out. 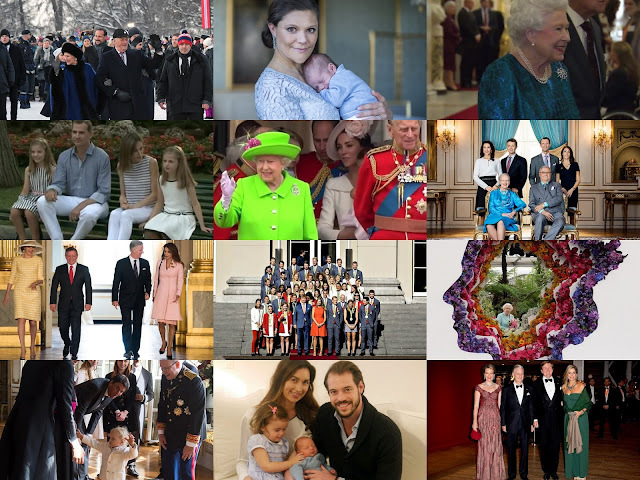 As we say goodbye to the year that was, here are ten royal reasons to remember 2016. 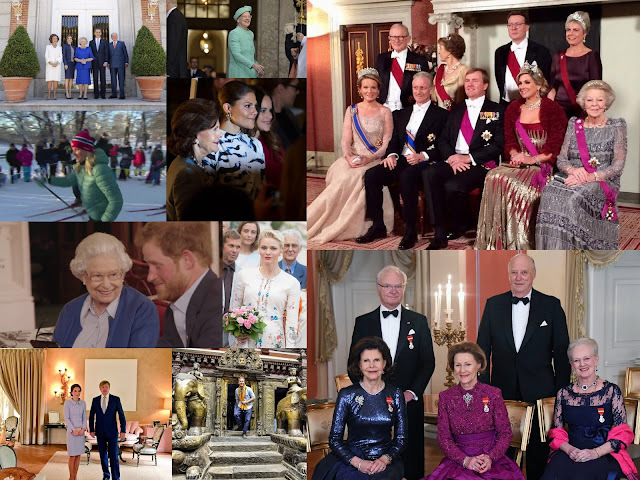 The old year is almost done but as it prepares to take its final bow, there's one more chance to look back at the royal highlights of 2016. There are moments that will linger long in the memory and which have made their mark in regal history. To complete the Royal A-Z of 2016, here's Q to Z. It's definitely lucky thirteen for Sweden's royals. As they all cram into one photo to mark the end of 2016 and the beginning of 2017, they couldn't be happier. And that's no surprise. 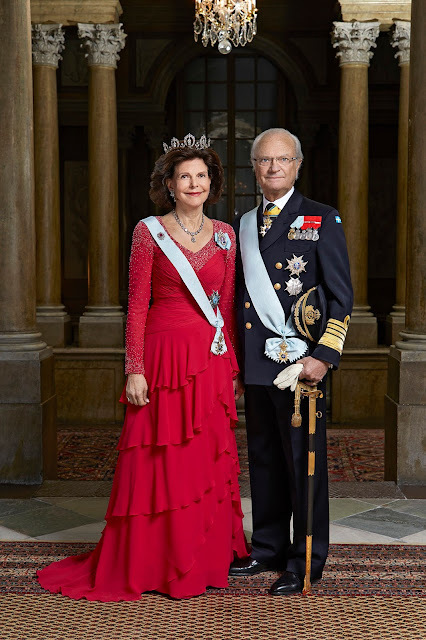 The year just ending has been very good to them with two new princes, a big birthday, a big wedding anniversary and a landmark jubilee for Queen Silvia. 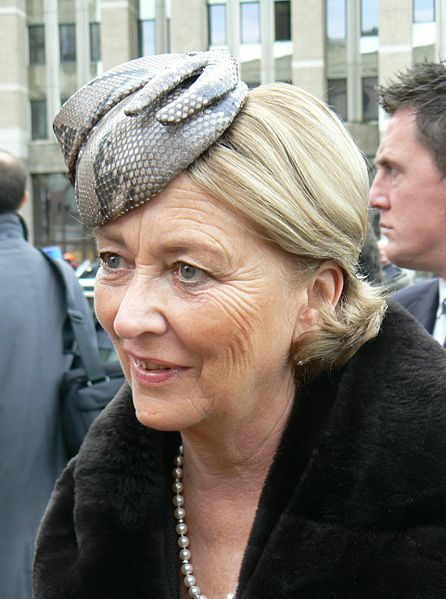 Queen Paola of Belgium is in hospital after suffering a vertebral fracture. Paola, who is 79, is being treated at the Cliniques Universitare St Luc in Brussels after being hurt following a fall. 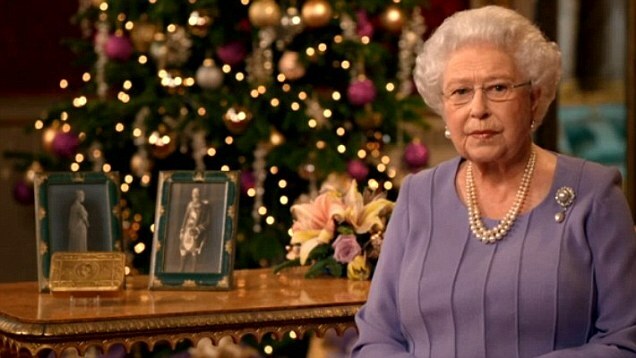 The Queen might have been stuck indoors getting over her cold but she got a boost when her traditional Christmas Day speech topped the TV ratings. The royals are just like the rest of us really. Christmas Day is all about family, food and Facebook photos. That modern moment of festive celebration that is a picture on social media to mark the season extends to the ruling houses of Europe. 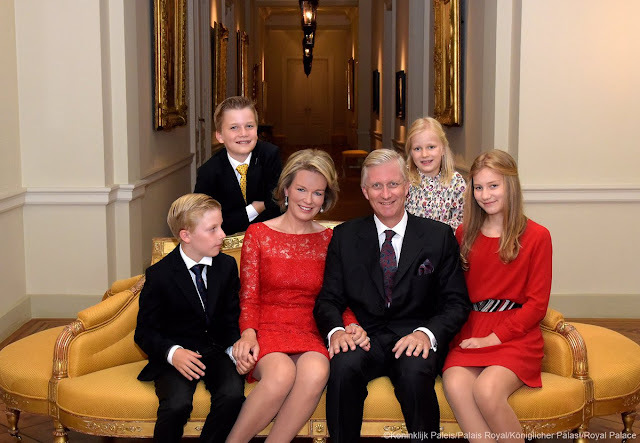 Here are the images they shared to say Happy Christmas, starting with a rather elegant portrait of King Philippe and Queen Mathilde of the Belgians with their children posted on Twitter. Prince George and Princess Charlotte have made their first appearance at a Christmas Day church service but not at Sandringham. 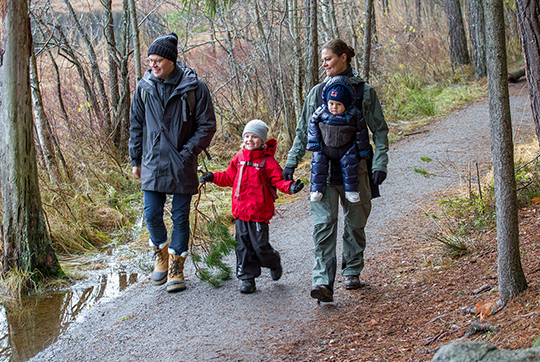 The future king took this important step while staying with his maternal grandparents for Christmas 2016. 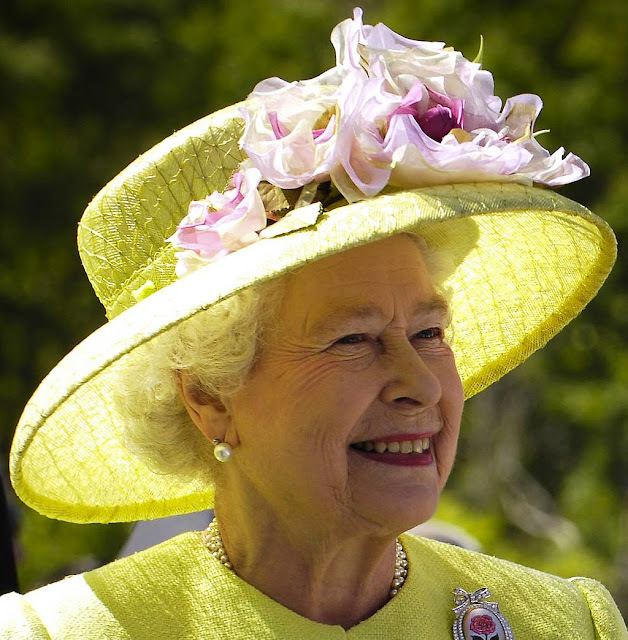 The Queen will not be attending church at Sandringham on Christmas Day as she continues to recover from a heavy cold. 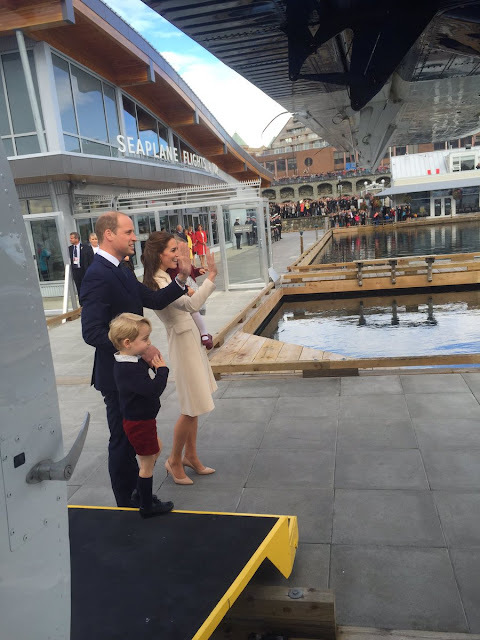 The official announcement came as the Royal Family made its way to the first service of the day. It's about as pretty as a picture gets. 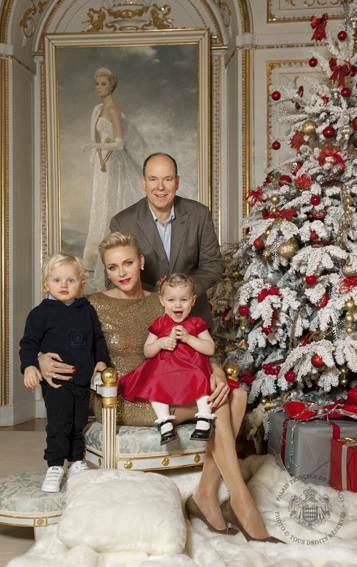 Prince Albert II of Monaco and his family have shared a set of Christmas photos to celebrate the festive season and they're a portrait perfect. From photos of twins, Jacques and Gabriella, enjoying Christmas to a family portrait that includes an image of Princess Grace in the background, these are festive photos to remember. 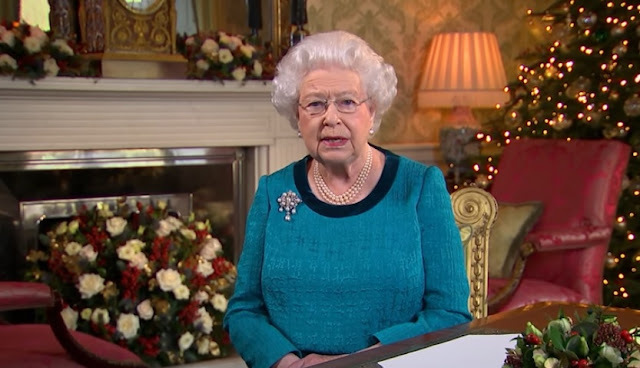 The Queen has delayed her departure to Norfolk for her annual Christmas break at Sandringham because of illness. Elizabeth II and her consort, the Duke of Edinburgh, have heavy colds and won't be making the trip as planned today. Who doesn't love a bit of red at Christmas? The most wonderful time of the year needs a dash of scarlet and a pop of crimson to make it feel, well, Christmassy. 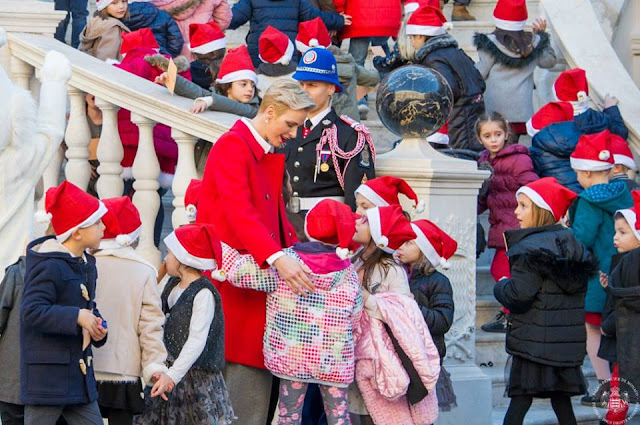 And Princess Charlene's red coat, chosen for a Christmas party in Monaco, shows that red really is the colour for this time of the year as it topped the Royal Wardrobe poll for the week just gone. Royal houses across Europe have sent messages of sympathy and paid tribute following the attack in Berlin on Monday night which left twelve people dead at a Christmas market. The attack, at the Breitscheidplatz market, also left 49 people injured. Here are the tributes from Europe's royal houses. Mum and dad might have helped organise it, but Estelle and Oscar stole the show. The Crown Princess of Sweden and her family shared a special festive message today but it was their daughter and son who took starring roles. From Estelle's enthusiasm to Oscar's giggling, this Christmas message was all about the littlest princess and prince at the Haga Palace. 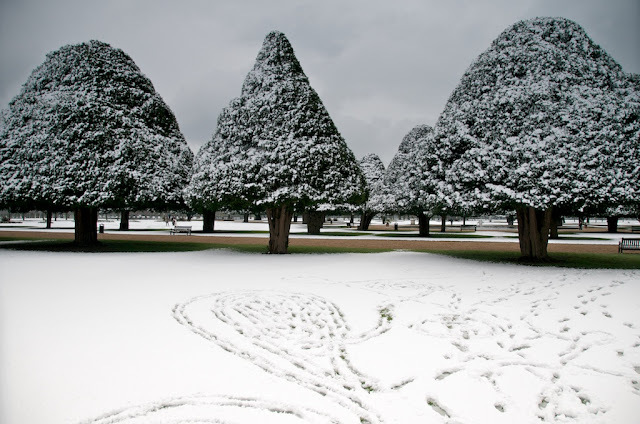 The scene of many a Tudor Christmas, Hampton Court is a picture perfect palace in the snow. Its red brick walls look particularly festive under a blanket of flakes. As Christmas week gets under way, here's a palace made for snow. 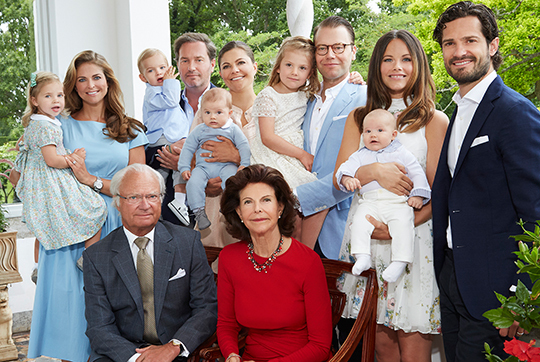 Sweden's royals had quite a start to the year. After welcoming Prince Oscar at the start of March and Prince Alexander in the middle of April, they had a whole ten days to get the palace sorted before royals from across Europe arrived to celebrate the 70th birthday of King Carl XVI Gustaf. You can't beat sweets at Christmas and what could be sweeter than a spot of pick and mix. 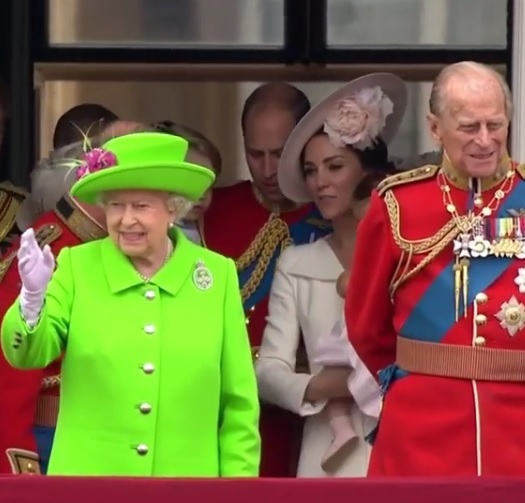 The traditional selection promises something for everyone - a bit like this week's Royal Wardrobe. From Christmas jumpers to party dresses, we've seen just about all that fashion has to offer and then some this week. As Christmas approaches, anything goes - here are five moments of festive fabulousness from the week just gone. Pick your favourite from this mix in the poll to the right. In a year filled with portraits, this is one for the history books. 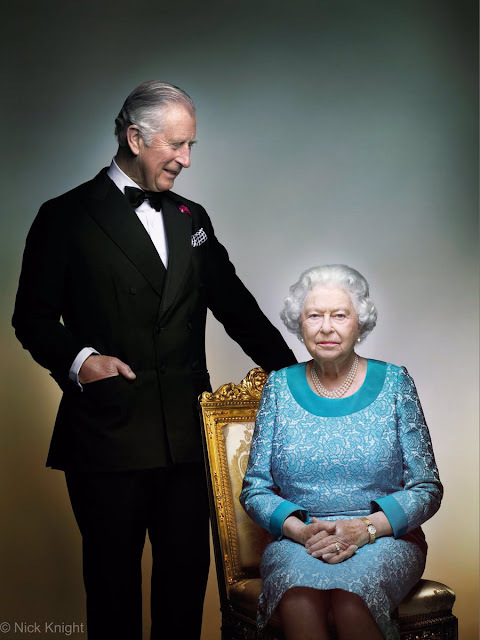 The Queen and her heir, the Prince of Wales, in an image to mark her 90th birthday. The photo, taken by Nick Knight, crowns a year of events for a special birthday, marked with family and celebrated across the world. Millions have taken part in festivities to mark the 90th birthday of Elizabeth II and we have many images from those events. But this photo has all the air of majesty and all the weight of history on it. The Queen, with her rock solid throne, and the prince who has stood at her side throughout her reign preparing to one day continue her work. Mother and son, monarch and heir. Charles, with the Queen at 90. 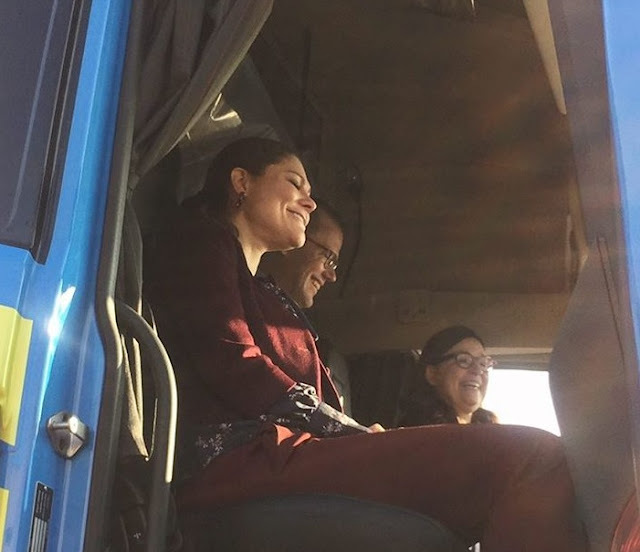 It's a visit focused on health, culture and business and on their final day in Italy, Crown Princess Victoria and Prince Daniel have managed to pack in a little bit of all three. The couple spent the day in Milan where they visited a ground breaking hospital, heard about the work of one of Sweden's biggest firms and took a stop for a bit of food therapy. A trio of delights on day three of Victoria and Daniel in Italy. Belgium welcomed a brand new royal this year as the arrival of Anna Astrid, daughter of Prince Amadeo and his wife, Lili, turned King Albert II and Queen Paola into great grandparents for the first time. 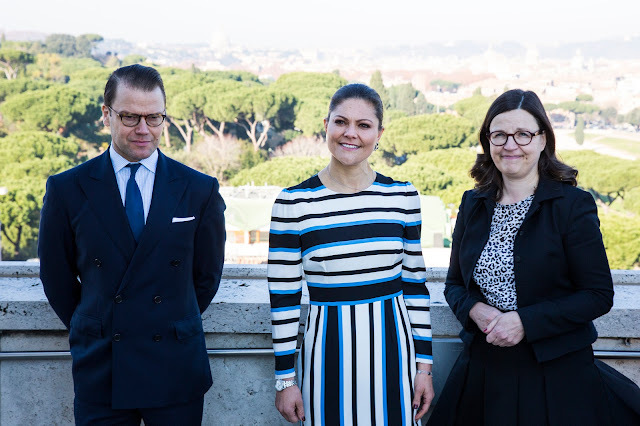 It's always good when a trip has a personal touch and as Crown Princess Victoria continued her visit to Italy, she came face to face with an historic organisation there set up by her great grandfather. Victoria, along with Prince Daniel, spent time at the Swedish Institute in Rome, established by King Gustav VI Adolf whose throne she will one day inherit. And there was another personal touch to this part of the official visit to Italy - Gustaf Adolf was Duke of Skane, the title given to Victoria and Daniel's son, Oscar, on his birth in March. It's been a proper party season for Jacques and Gabriella of Monaco in the run up to their third Christmas. 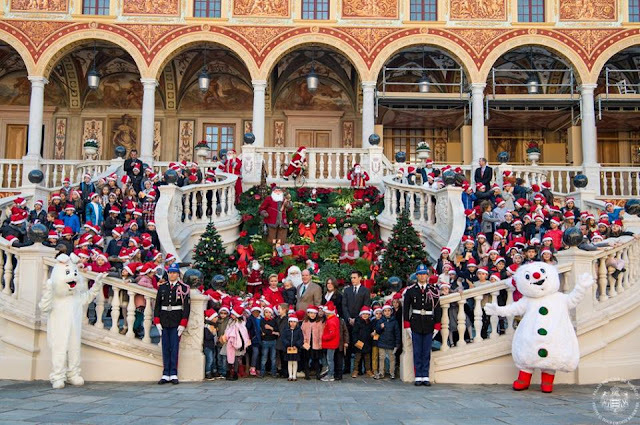 The royal twins have only just finished with their birthday celebrations (they turned two on December 10th) and now they've made their debut at the traditional children's Christmas party in Monaco. Christmas lunch can be hard work for little ones. The adults want to eat and talk, the chocolate appears to have been hidden away and replaced with endless proper food and everyone takes twice as long to get through the main course. Which is why you need cousins to play with. 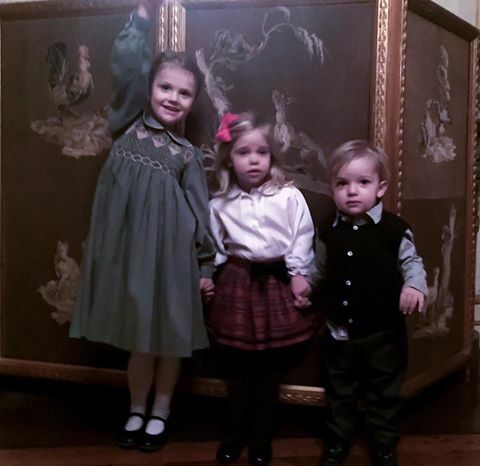 Princess Estelle, Princess Leonore and Prince Nicolas of Sweden were caught on camera getting up to all kinds of cute fun by Princess Madeleine as she shared a photo from a festive lunch at the Royal Palace on her Facebook page. 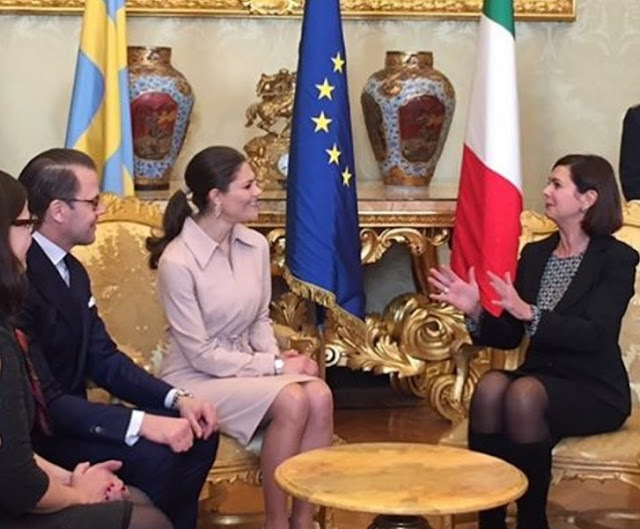 Crown Princess Victoria and Prince Daniel of Sweden have arrived in Italy for a three day tour. While Prince Oscar stayed in the hotel room and Princess Estelle stayed home to finish her school term, mum and dad began their trip, focused on promoting health, cultural and business issues, in Rome. You know what it's like. You spend all year bemoaning the lack of social events and then suddenly, for a week in December, you're in sequin mode. Pre Christmas means glitter, it means parties, it means black tie - well, to be fair, this is the royal version. 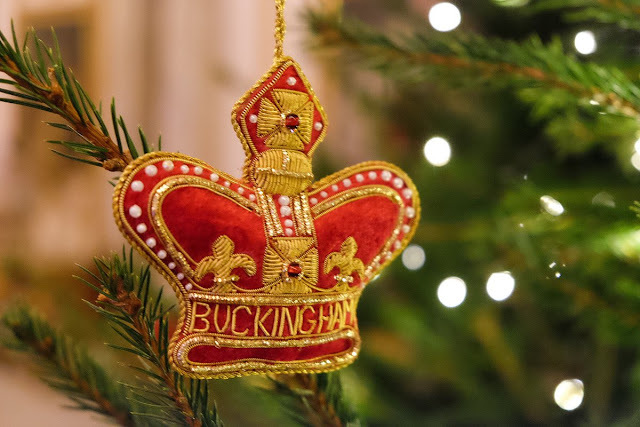 December 10th to 14th is apparently the most popular time for office parties ahead of the festive season and the royals are no different from us in that regard. In the last few days, the ruling houses of Europe have had all kinds of work related festivities to get into and that's not counting the Nobel ceremonies which are like a mini Christmas all in themselves. Get ready to sparkle, this is how the royals are starting the pre Christmas party season. It's already a special moment in every royal Christmas season and just when we thought it couldn't get any more festive, Victoria and Estelle of Sweden proved us wrong. 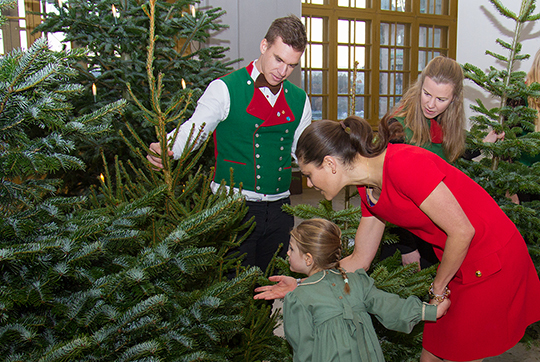 The Crown Princess and the second in line to the throne brought in the Christmas trees at the Royal Palace in Stockholm dressed in green and red. That's the way to do Christmas. They're trimming the tree at Buckingham Palace. And if Christopher Robin went there with Alice right now, he'd be pretty impressed. For the festive display this year is a right royal treat and it's finished with a crown. 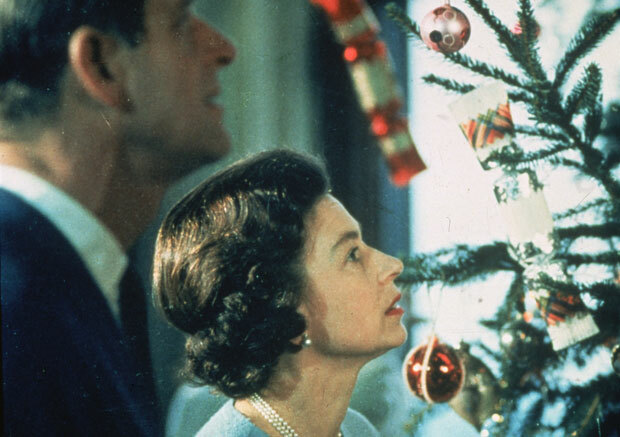 When you're the longest reigning monarch in British history, what else do you put on your tree? Every year brings happiness and sadness, light and shade and in August. we learned that Princess Martha Louise of Norway had separated from her husband of fourteen years, Ari Behn. The couple's statement and their family's response to it were filled with all the sadness that comes with the end of a marriage. Here's a look back at how events unfolded this summer. It's rather stylish and very on trend but then, let's face it, it was Letizia's idea, what else do you expect? 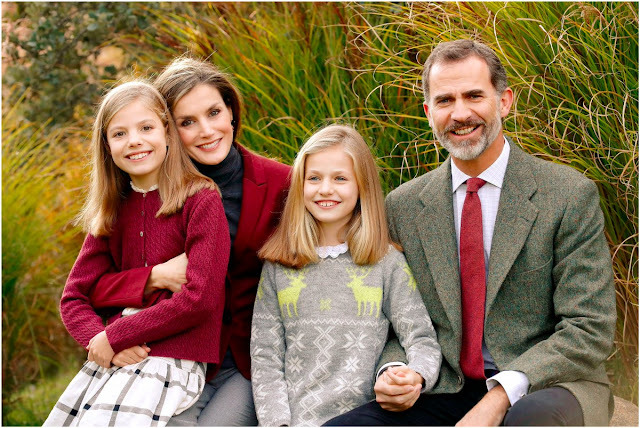 The Christmas card of the King and Queen of Spain has been shared on social media and the chic bar has been set rather high. The Duchess of Cambridge cemented her place as a style star this year by appearing on the front cover of Vogue. Kate starred in the June edition in a set of photos that were instantly poured over and dissected. She joined a long list of royals who have appeared on the front cover of Vogue while later in the year, Princess Eugenie starred in Harper's Bazaar. And she later attended an exhibition of the photos - all as part of the magazine's centenary. Here's a look back at Kate, the Vogue cover star. Because one set of tiaras in 24 hours is never enough. The Royal Family of Sweden like to up the sparkle ante in the weeks before Christmas by donning just about every diadem they own within the space of a day as the Nobel celebrations really get into full swing. After the solemnity of the official Nobel Prize ceremony comes the glamour of the King's Nobel Banquet. Always held the day after the ceremony at the Royal Palace in Stockholm, this is a chance for the tiaras left behind during the main event to take their moment in the moonlight. Get ready to sparkle, again. You can never have too much of it. 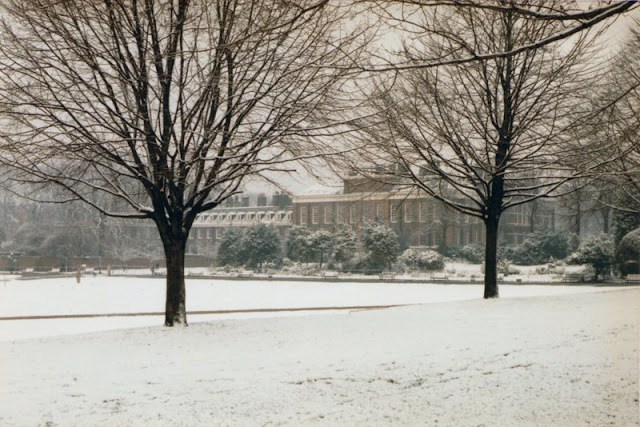 Its walls are filled with famous royal tales, modern and historic, and Kensington Palace beneath the snow looks like the perfect backdrop for a story. 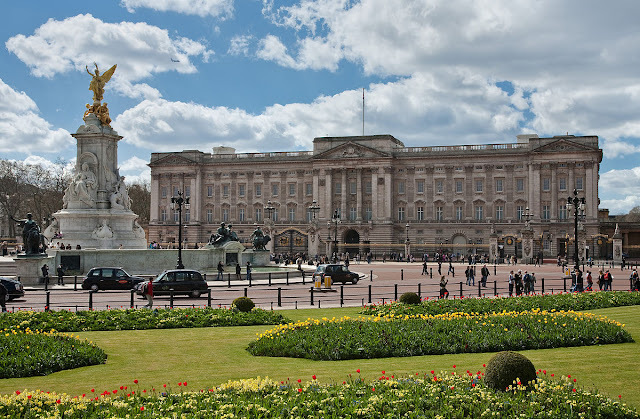 Almost modest compared to other castles and palaces, it has the air of a country home placed in the heart of London. Maybe that's why it suits the snow so well. Until 2015, Prince Carl Philip was the only man in the Swedish line of succession. 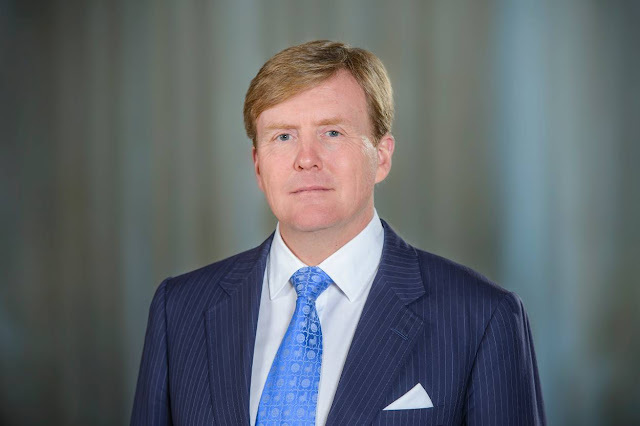 This year his son became the fourth man entitled to inherit the throne to which he himself had briefly been heir. Alexander of Sweden was the third prince born to the Swedish Royal Family in ten months and his arrival was yet another highlight in a golden time for this ruling house. It's Nobel Prize time and that means tiaras. Two days of tiaras. And celebrating some of the biggest achievements in the world this year but let's start with the tiaras. The Nobel Prize giving ceremony in Stockholm is when the women of the royal house of Sweden get to bring out all the jewels and this time round they haven't disappointed. Sapphires, cameos and a whole load of diamonds and that's just day one. Welcome to the Nobel Tiaras of 2016. As all royal roads seem to lead to Sweden right now (they've had a pretty good year and they're ending in style with the usual Nobel celebrations adding enough glitter to get any Christmas started), today's Palace in the Snow is one of the most famous royal residences there. Drottningholm Palace is the private residence of several members of the current family and a familiar sight in recent times as celebrations have taken place within its walls. And guess what, it looks about as fabulous as palace get when covered in snow. 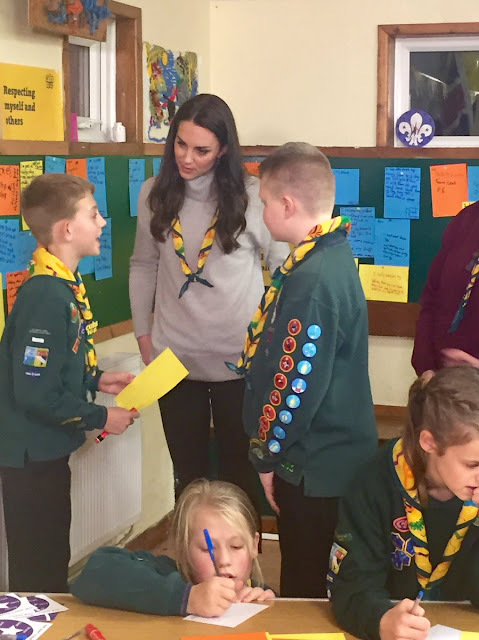 William, Kate and Harry surprised us all by launching a new initiative as spring well and truly got under way. 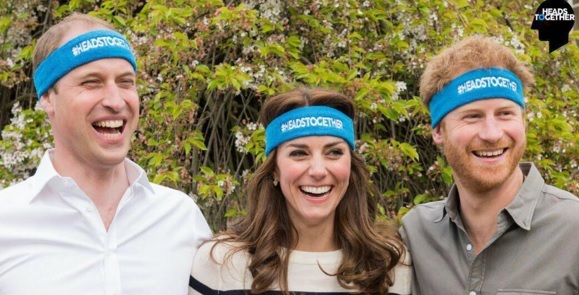 As the London Marathon made its way through the capital's streets, the royal trio announced their project, Heads Together. The umbrella for several charities, the initiative aims to change attitudes towards mental health issues. Since its launch in April 2016, the trio have taken part in many high profile events linked to it making it one of the royal stories of the year. Here's how Heads Together began. 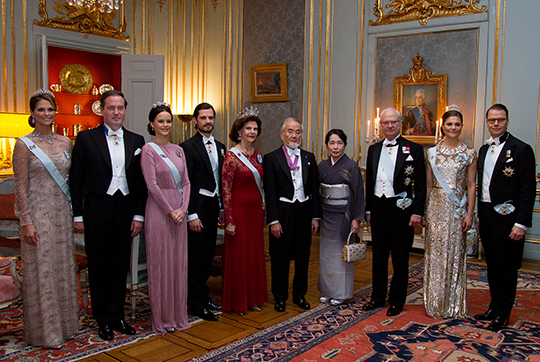 While King Harald and his family celebrated the presentation of the Peace Prize, King Carl XVI Gustaf and his royal house were marking the other Nobel Prizes. The awards are always handed out on December 10th, the anniversary of the death of Alfred Nobel, in Oslo and Stockholm and Sweden always wins on the glitz stakes. 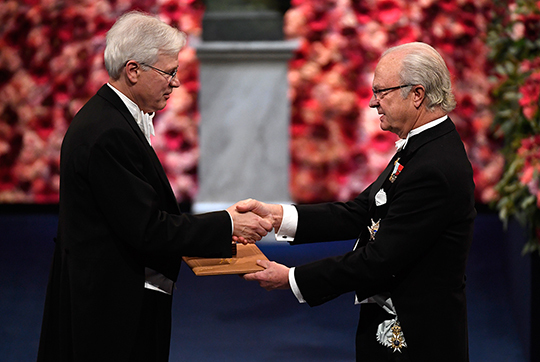 In a glittering ceremony, Carl XVI Gustaf presented the 2016 prizes for physics, medicine, chemistry and economic science as well as honouring literature laureate, Bob Dylan, who wasn't able to attend. All in front of the Swedish Royal Family on one of the most glittering days in its diary. Keep reading, there are tiaras. The Norwegian Royal Family has taken part in the ceremony marking this year's Nobel Peace Prize. 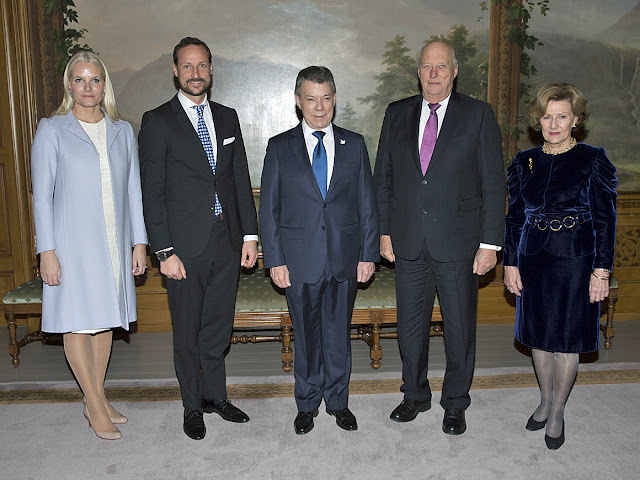 King Harald V led the congratulations for President Juan Manuel Santos of Colombia, who was recognised for his efforts in bring to an end the civil war in his country. The main ceremony was the highlight of a day that celebrated peace in many ways. It's about as colourful as a royal Christmas card gets and nothing says festive party better than dancing. Put the two together and what do you get? 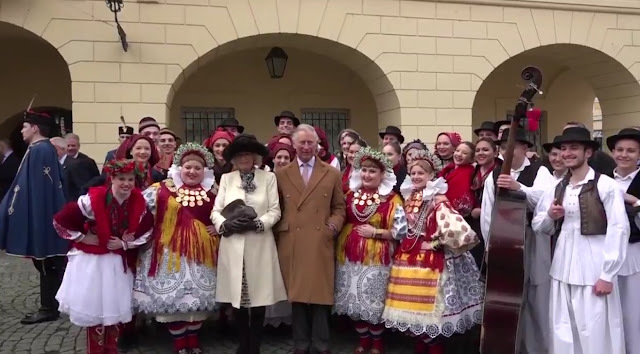 The Prince of Wales and the Duchess of Cornwall's Christmas card for 2016, of course. The royal twins of Monaco have turned two. 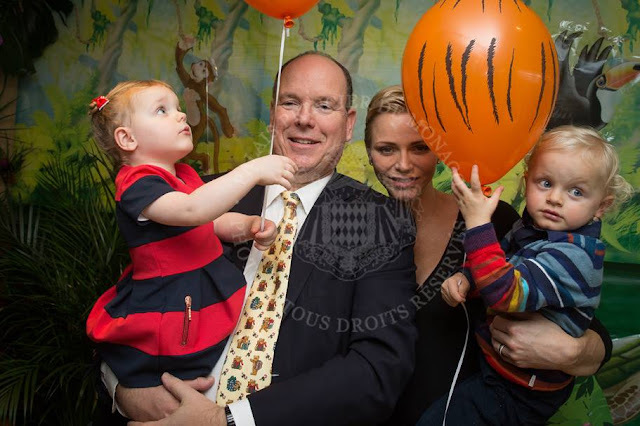 Prince Jacques and Princess Gabriella celebrate their second birthday today and to mark the occasion their proud mum and dad have shared photos of the party they held for their son and daughter earlier this week in Monaco. Castle, palace, palace, castle. Let's not split hairs. The royal residences of modern times might have the more romantic title of palace but they follow in the direct footsteps of the castles that kept rulers of yore safe and warm and told everyone for miles around who was in charge. 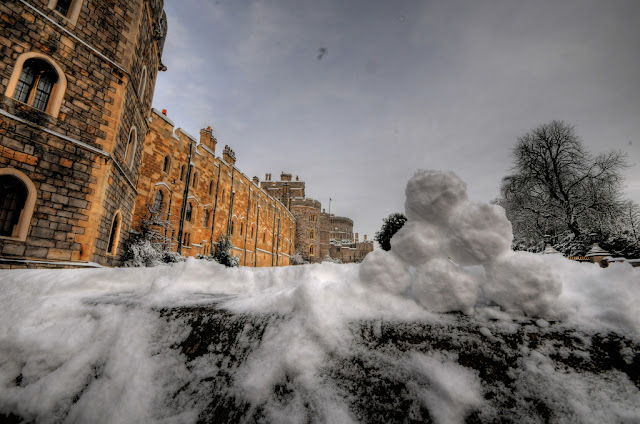 Windsor Castle has a long history and many of its winters have seen it cloaked in snow. The Duke of York is not happy and he has made that very clear. The second son of the Queen has issued an unprecedented statement denying a rift with his brother and rumours that he had asked that the future husbands of his daughters be given titles. 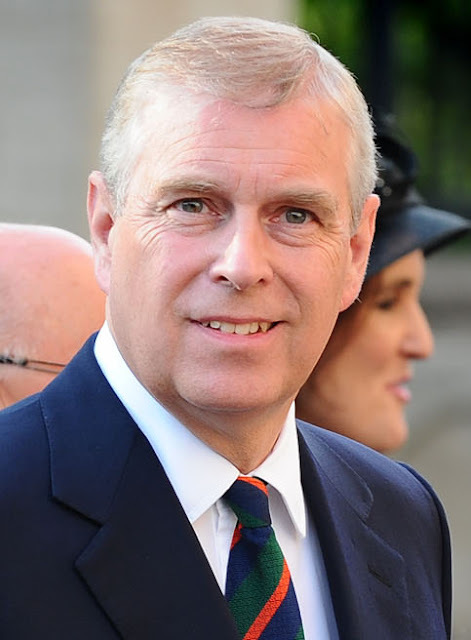 In a firm statement, published via his Twitter account, Prince Andrew said that he cannot continue to stand by and have the media speculate on the futures of Beatrice and Eugenie. Dads and daughters. What a difference a year makes. 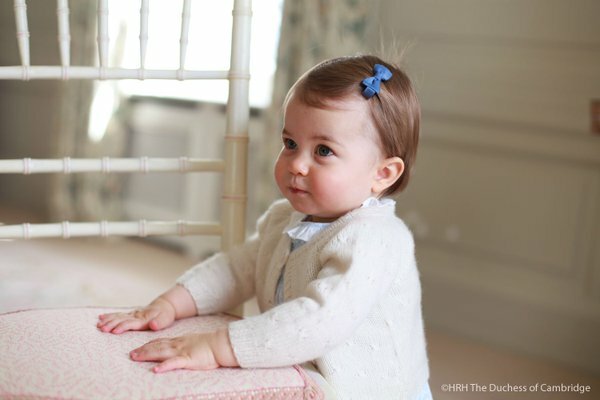 Princess Charlotte of Cambridge turned one on May 2nd and starred in some special photos taken by her mum to mark the occasion. All birthdays are special for the family involved but when you're a royal princess and fourth in line to the throne, your first big day is going to get lots of attention. That's just what happened to Charlotte Elizabeth Diana on May 2nd 2016 - here's a look back at the first birthday of a princess. The annual diplomatic reception at Buckingham Palace in the early days of December usually involves some photos of royals heading into the HQ of the House of Windsor in the backs of cars, hopefully heads held high enough for us to catch a glimpse of the tiaras chosen for this year's do. In 2016, we got an official photo. Settle back and read on, this is diamond-tastic. It's about as famous as a royal palace gets, it's about as beautiful as architecture can be, it has oodles of royal romance attached to it - add snow for a fairytale. Versailles may no longer have a royal family to call its own but it is every inch the royal palace. 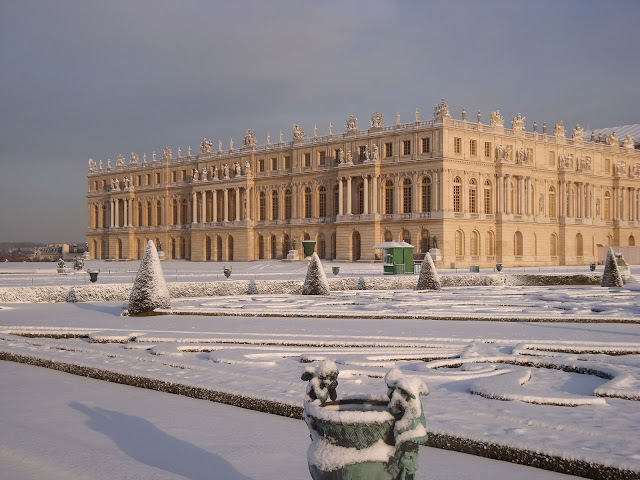 Maybe it's the fact its royal residents are long gone that makes Versailles in the snow reminiscent of times past, eras gone and memories that linger. A palace in the snow that hides much beneath its icy depths. 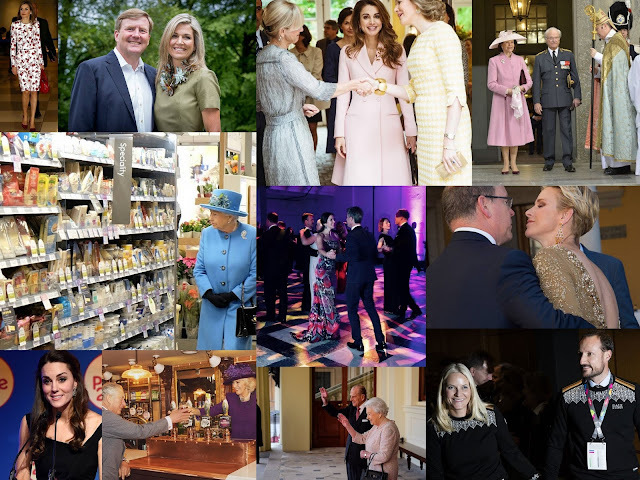 It's been a special year for the Grand Duke and Duchess of Luxembourg. 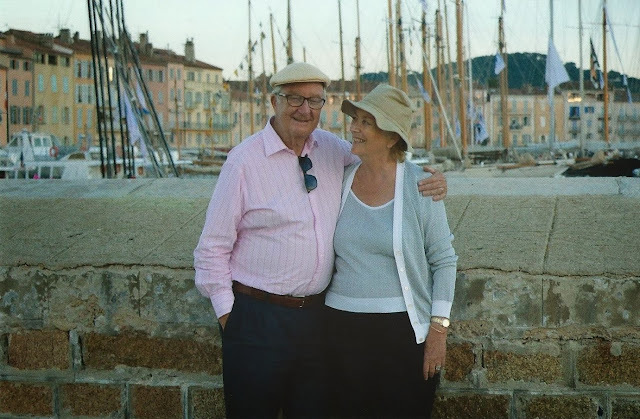 Not only have they just welcomed a fourth grandchild with the birth ofPrince Liam of Nassau but they began the year by marking their 35th wedding anniversary. There were special photos, there was an interview, there was a chance to look back at the first big royal wedding of 1981. Here's how Henri and Maria Teresa of Luxembourg marked their milestone. It's that time of the year when the royals of Europe dig out the ladders, the ancient and no doubt extremely valuable baubles and even, on occasion, the national costume (we're looking at you, Queen Sonja) and start trimming the tree. 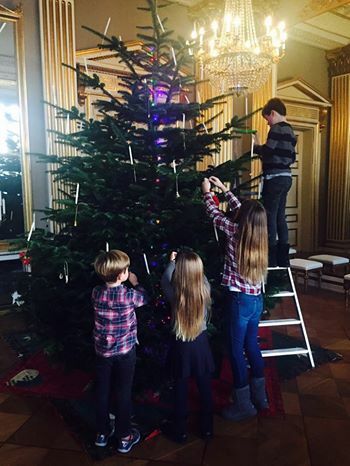 We'll no doubt be treated to several royal Christmas tree decorating sessions in the days to come but props to the Danish family for getting the festive party started with some special photos shared on social media. It's a palace steeped in history and linked to one of the most romantic and tragic queens of history as well as another whose name became forever linked to the cold of winter which brings the snow. Linlithgow Palace in West Lothian, Scotland is now a tourist attraction but for centuries the tumultuous royal history of Scotland played out within its walls. 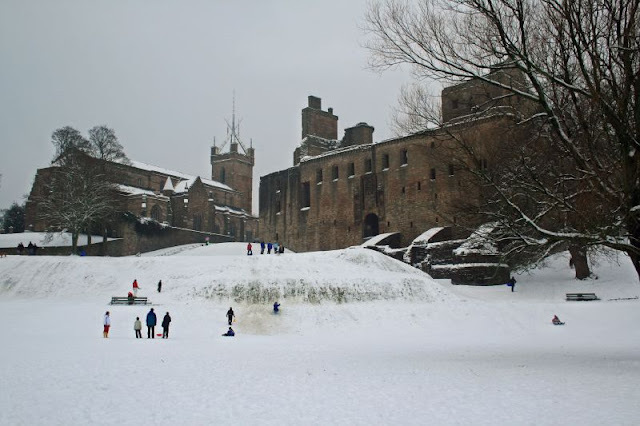 Linlithgow Palace has no need of help when it comes to drama and dusted in snow, it is a palace of dreams once more.